One of the greatest literary artists in modern American history, Edgar Allan Poe, lived his life and began his career in Baltimore. It was during his stay in Baltimore that Edgar Allan Poe penned many of his earliest works, including “MS. Found in a Bottle” and “Berenice.” While his death still remains a mystery, the Edgar Allan Poe Grave Site and Memorial is one of the most popular attractions in the city. Located in Westminster Hall, one of the most historic half-acres in Baltimore, Edgar Allan Poe is buried with his wife and mother-in-law. 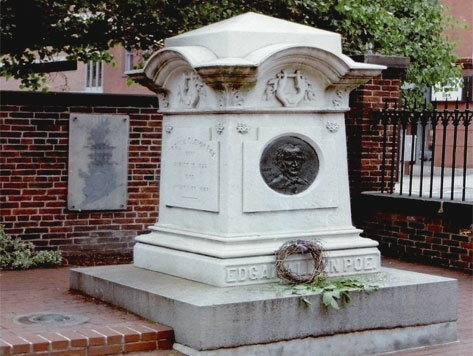 The Edgar Allan Poe Burial Site is within walking distance to many popular Baltimore attractions such as the Hippodrome Theatre, Lexington Market, and Royal Farms Arena.